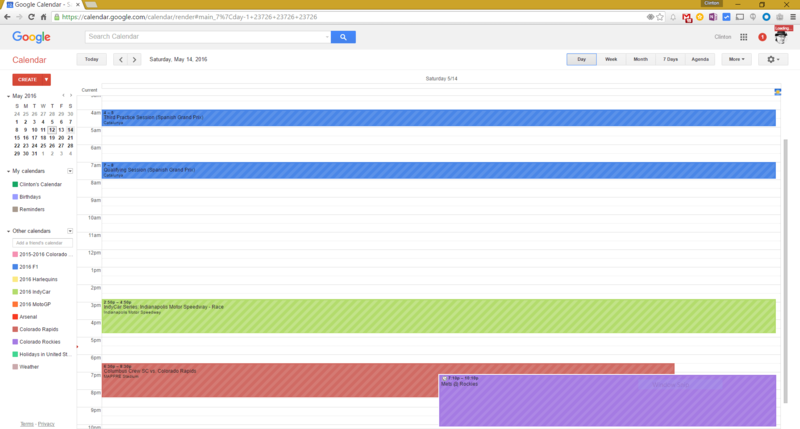 Google Calendar for web has received a small but important update that users will certainly benefit from having available. Now when you view your calendar in day or week view, you will see not only the name of the meeting but the location of that meeting. Now this may seem like a “no big deal” update but for those who rely heavily on Google Calendar will find it to be a huge benefit as you no longer necessarily have to open up the event to see where it is being held. primary calendar but all of your calendars, even those you subscribe to in Calendar. I, for example, subscribe to a calendar for IndyCar, Formula One and Colorado Rapids so I can keep up with those sporting events. Since the creators of those calendars filled out the location field, I see where those games or races are going to happen. For a more practical use though, if you use Google Calendar in a work environment and need to find a location on a massive corporate or school campus, it can be really handy. The update is a background update so it is just a matter of when your account is updated to provide this information.